Lots of tourists visit Eastern Europe, and lots of tourists visit Asia, but what about the piece of land between the Black Sea and the Caspian Sea that connects the two continents? 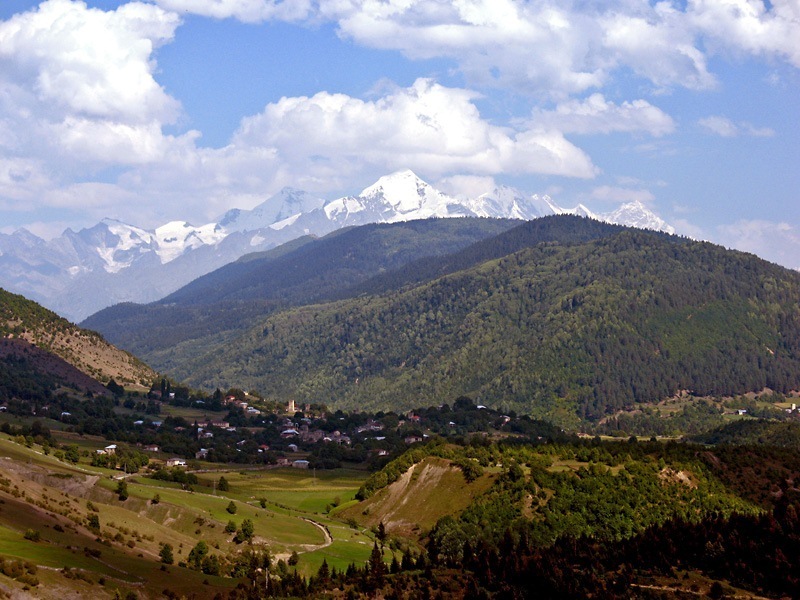 In geography classes, the Caucasus Mountains are usually talked about as a natural border between the two continents, and the surrounding region, called simply the Caucasus, doesn’t get mentioned that much. The Caucasus comprises several Russian federal subjects, as well as Armenia, Azerbaijan and Georgia. These countries and Russian republics don’t get nearly as much credit as they should, so here are some amazing travel destinations in the Caucasus region. Some people avoid going to Dagestan because it has its dangerous zones, but this means that they miss out on Derbent, an absolutely fascinating Unesco World Heritage Sire. 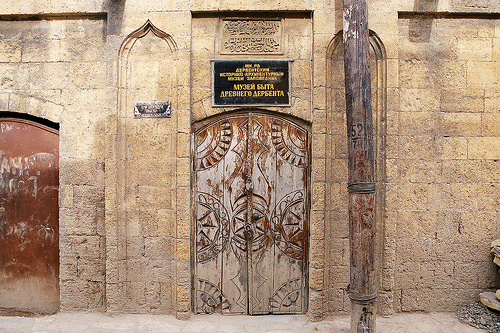 Derbent is associated with the ancient Gates of Alexander, a legendary barrier built by Alexander the Great. 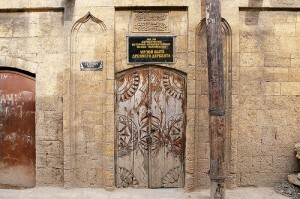 Derbent is the oldest city in Russia, and indeed, there are parts of the city that are 5000 years old. Marvel at the old gates, citadel, and walls, as well as more ‘recent’ (that is, medieval) constructions. 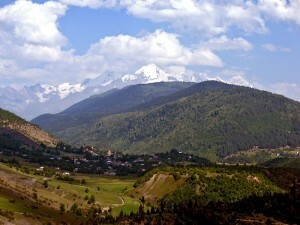 Dombai is a park/resort of extraordinary beauty, as well as a very fun and exciting winter sports center. The whole park is located at 1620-1650 meters altitude, and it is perched on (and surrounded by) some of the most impressive mountains in the Caucasus. Go in winter for the skiing, or in summer for the hiking. 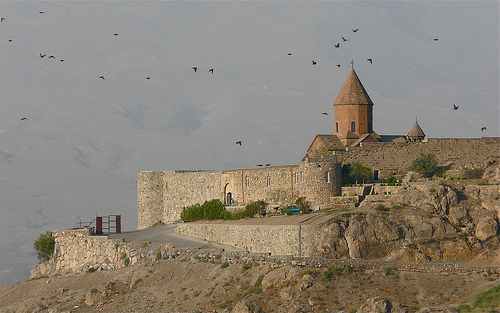 One of the most visited places in Armenia is the stunning monastery of Khor Virap, the place where Christianity in Armenia took roots in ancient times. Khor Virat’s fortified monastery is atop a small hill in the Ararat Valley, and it has an amazing view of the snow-capped mountain Ararat. 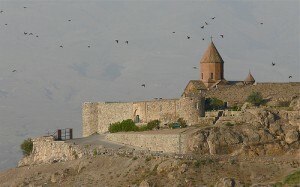 The monastery itself is old and quaint, and a very important pilgrimage site for Armenian Catholics. Vardzia is an amazing cave monastery in Georgia, dug into the side of the Erusheli mountain, dating back to 1185. The monastery is more like a city than a place of worship, as it was built as protection against the Tartars, and it has over 6000 apartments and 13 levels. Unfortunately, more than half the city was destroyed in the 13th century, but still enough of it remains for the curious tourist. 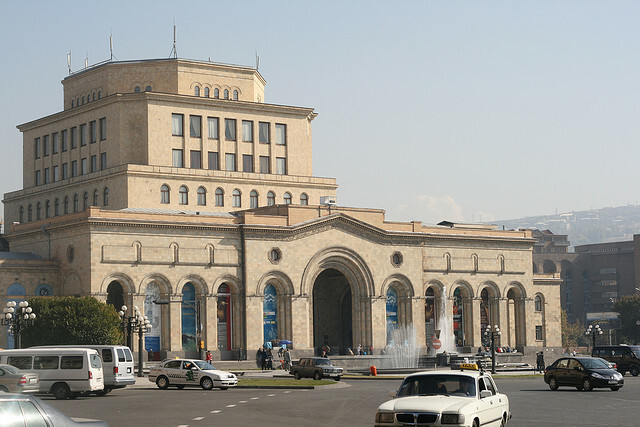 Armenia’s capital is lively, boisterous and flamboyant – despite that neo-Soviet architecture that in other contexts can seem quite dreary. Yerevan is also called the Pink City, because of the rosy color of the stone used in many of the buildings. The architecture and the layout of the city are its biggest draws, especially for the enthusiast of Soviet megalomaniac architecture.